BELIZE CITY, Wed. Oct. 19, 2016–Two days after the former Deputy Prime Minister, Hon. Gaspar “Gapi” Vega, the Orange Walk North area representative, resigned from his Cabinet post as Minister of Agriculture, Prime Minister Dean O. Barrow has reconfigured his Cabinet. This Cabinet reshuffle comes one day after teachers returned to the classroom after an 11-day strike, the centerpiece of which was good governance issues, and while the nation’s attention was still riveted on the most recent scandal to come out of the Lands Department. The announcement of the Cabinet changes was made today via a press release, from the Office of the Prime Minister. One of the eight pre-strike demands that the Belize National Teachers Union (BNTU) had made was the removal of Senator and Minister, Hon. 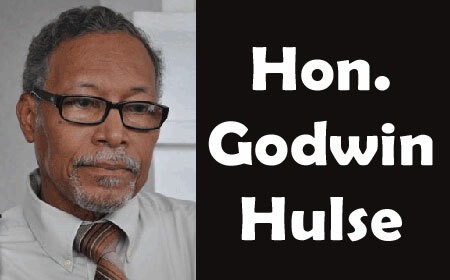 Godwin Hulse, who was appointed to head the Police Ministry about six weeks ago when PM Barrow shuffled his Cabinet. In the new power configuration of the Barrow Cabinet, Barrow has removed Hulse as Police Minister and given him other portfolios. Barrow took the Police Ministry, now dubbed the Ministry of Home Affairs, and kept the Ministry of Finance. “The Prime Minister gave up the Ministry of the Public Service, Energy and Public Utilities, to the Hon. Hugo Patt, who is now Minister of Labour, Local Government, Rural Development, Public Service, Energy and Public Utilities. The Hon. Frank Mena remains Minister of State for Public Service, Energy and Public Utilities,” said the government press release. Hulse, however, while losing the Police Ministry, now dubbed the Ministry of Home Affairs, has been named as Minister of Agriculture, Forestry, Fisheries, the Environment and Sustainable Development, the portfolio once held by Hon. Gaspar Vega. Minister Hulse will also remain as Minister of Immigration. Hulse, the government release said, will have as his Ministers of State, Hon. Dr. Omar Figueroa, who remains in the Ministry of Agriculture with his focus on Forestry, Fisheries, Environment and Sustainable Development, and Minister of State, Hon. Beverly Williams will continue as Minister of State for the Ministry of Immigration. “The Hon. Rene Montero retains the Ministry of Works, and the Hon. Edmond Castro is Minister of Transport and National Emergency Management,” the release continued. Interestingly, however, the Prime Minister’s Cabinet reconfiguration did not touch on the Ministry of Defense, the portfolio held by Hon. John Saldivar, the Belmopan area representative, who lost the Police Ministry to Minister Hulse when the Danny Mason scandal broke, and who was suspended this week pending “legal advice” surrounding his purported business association with accused murder William Danny Mason after a leaked document indicated that Mason and Saldivar had signed a company document as owners of the Belmopan Bandits Football Club. Saldivar had denied that he and Mason were business associates, except “in the past,” and said that he had severed that connection when he began to suspect that Mason had a shady past.